The 509-room hotel comprises 2 annex buildings, one with 9 floors, built and furnished in 2000, and the other with 7 floors, built in 2001. 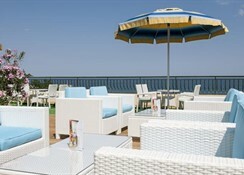 The ground floor of the hotel is decorated in pastel tones and features a large foyer with a 24-hour reception desk with 24-hour check-out service, a hotel safe, currency exchange facilities and a lobby bar. Other facilities include: lift access, restaurants, bars, a disco, conference facilities, a post office, a hairdressing salon, a medical service and Internet access. A telephone wake up call service, laundry/ironing services and a kids' club with specially trained entertainers are all available. 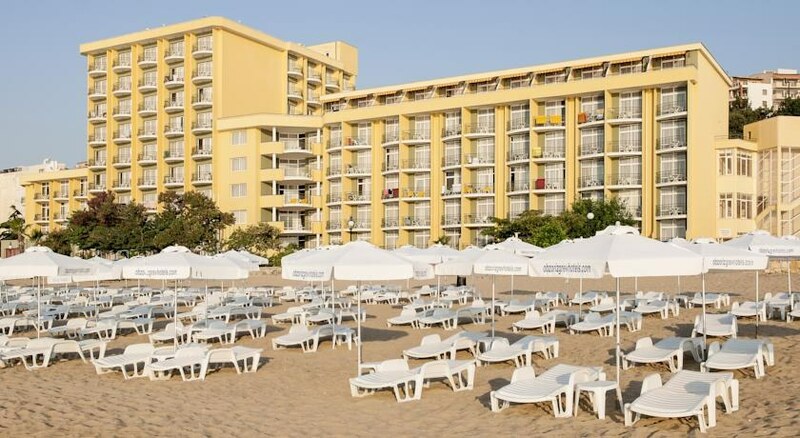 Guests arriving by car can leave their vehicle in the private car park for an additional fee.The hotel comprises 479 double and 13 single rooms with either a sea or a park view. 81 of the double rooms have been classed as family rooms, as they contain connecting doors. There are also 17 luxury apartments. The rooms all include an en suite bathroom with a bathtub, a hairdryer and a WC. Further in-room facilities include a direct dial telephone, satellite TV, a minibar, and individually regulated air conditioning units. All rooms have balconies. 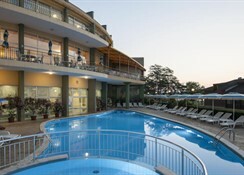 The hotel includes 1 indoor and 2 outdoor swimming pools and a children's swimming area. 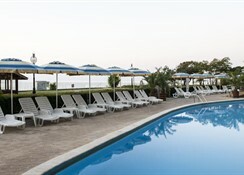 There is a poolside snack bar, as well as a sauna, a solarium, a steam room, massage and spa treatments, and a gym. Water sports such as banana boating, water skiing and sailing are available at the nearby beach. Other recreational activities on offer include tennis (fees apply), table tennis, aerobics and aqua fit, horse riding, volleyball, pool, bingo, bowling, air rifling and mini golf. The skilled entertainment team will take care of guests, organise various games for both children and adults, and reward those that have taken part with a medal, diploma or cocktail at the end of each day. Light, dance and music performances take place each evening in the entertainment hall which seats 300. Bulgarian culture and folklore are also demonstrated to guests through the folk programmes on offer.